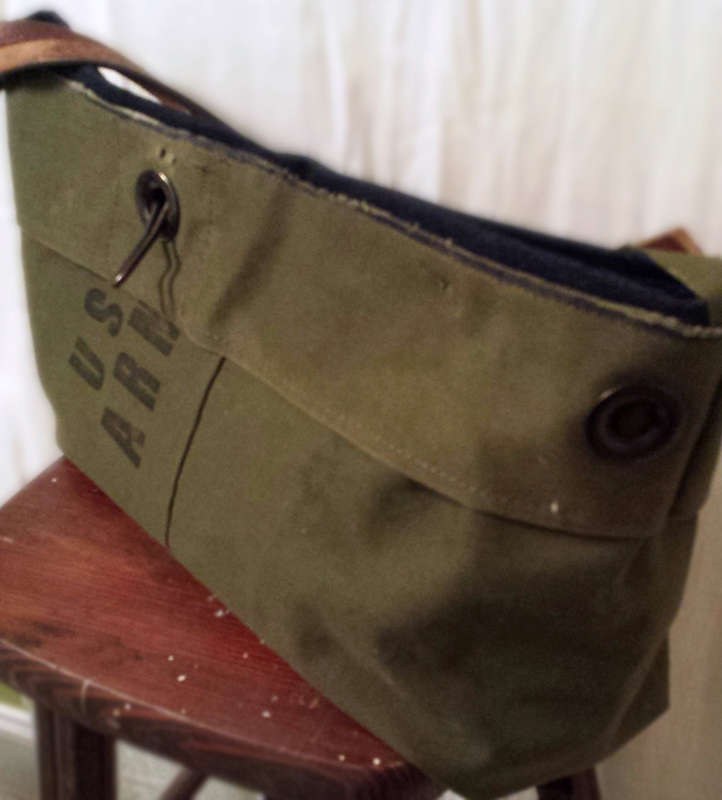 Sturdy, well-loved canvas salvaged from a 1960’s era army duffle bag has been turned into the perfect everyday bag. Original printing and stitching from the canvas has been incorporated into this bag to highlight the unique character of the material. Any discoloration you see in the fabric is the result of years of natural wear and aging.